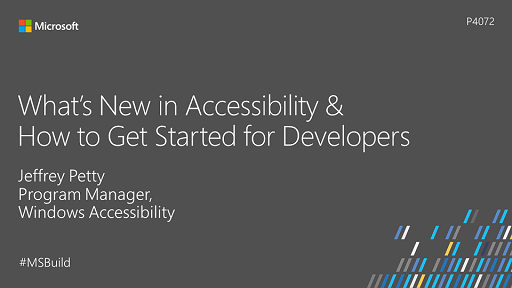 In this brief video, Jeff Petty from the Windows Accessibility Team, provides an overview of some of the new accessibility features coming to Windows in 2016. 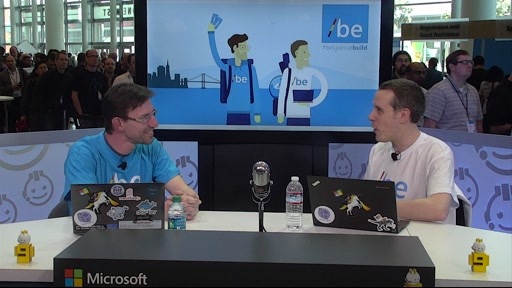 He shares information about how Microsoft is responding to user requests for a “one stop shop” for accessibility on MSDN (the new Accessibility Developer Hub) and to combine guidance and sample code in articles (the new Design & UI content at the Windows Dev Center). The overview also includes XAML improvements, e.g. support for mnemonics or access keys in a few steps, and Edge platform improvements, e.g. code web pages and apps using web standards like ARIA for an accessible experience. He also shares some new tools that make it easier to find, triage and fix common accessibility errors within Visual Studio and after apps have been deployed using Narrator Developer Mode. 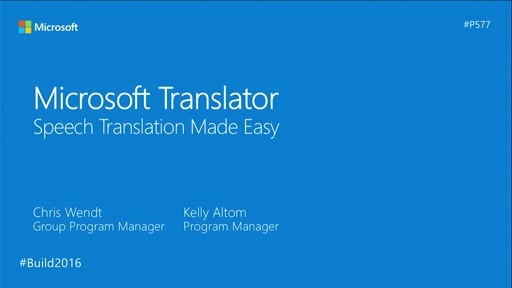 Finally, he shares some investments Microsoft is making to improve the Narrator user experience. Microsoft believes there is a great business case for creating accessible applications for all users, and is investing to make it easier for developers to create accessible experiences.